Figure 5-39.--Diestocks, diecollet, and tap wrenches. diameters of 1/8 inch to 2 inches. of the solid or adjustable type. The square pipe die (fig. sets of 6, 10, 14, and 28 assorted sizes in a case. sides of the die apart or allows them to spring together. 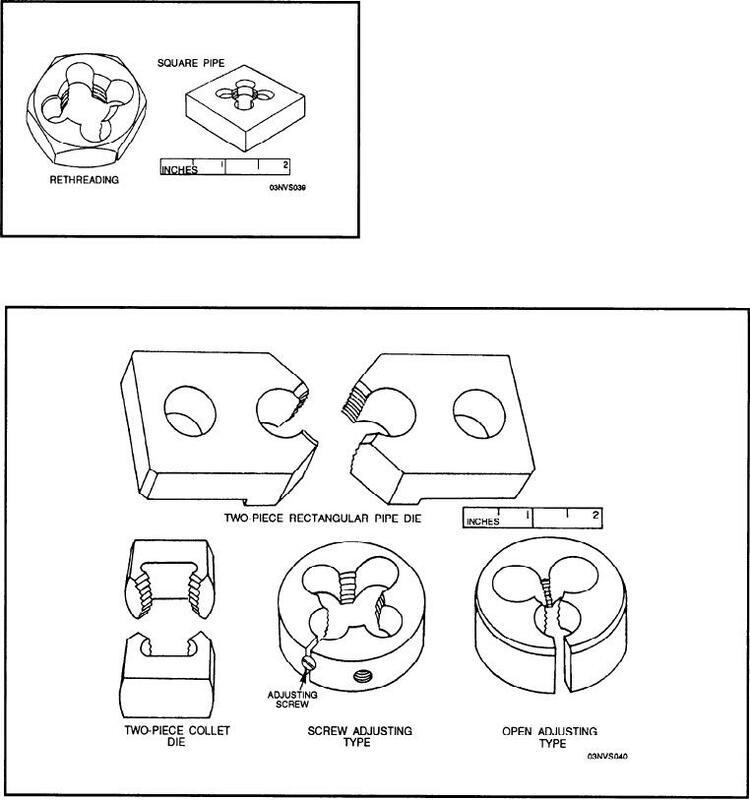 Figure 5-38.--Types of adjustable dies.